Clinique Holiday 2015 Gift Sets are arriving and with it a very cute 12 Days of Clinique Advent Calendar! Beauty advent were huge in the UK about two years ago and the trend came to the US last year with brands like Tarte and Benefit doing their own version! And hey, Benefit Holiday 2015 has one this year too! But this year I’m noticing most of these calendars are a 12 days of Christmas versus the entire month but that’s quite ok by me as I still think they are quite adorable. Let’s take a look at some of these Clinique Holiday 2015 Gift Sets! Count down to holiday cheer with twelve skin care and makeup greats that will have you winking, sparkling and shining all season. Seven limited edition shades of Clinique Long Last Soft Shine Lipstick for every day of the week like shades Take on Tuesday a bright coral and Sassy Saturday a rich, true red! 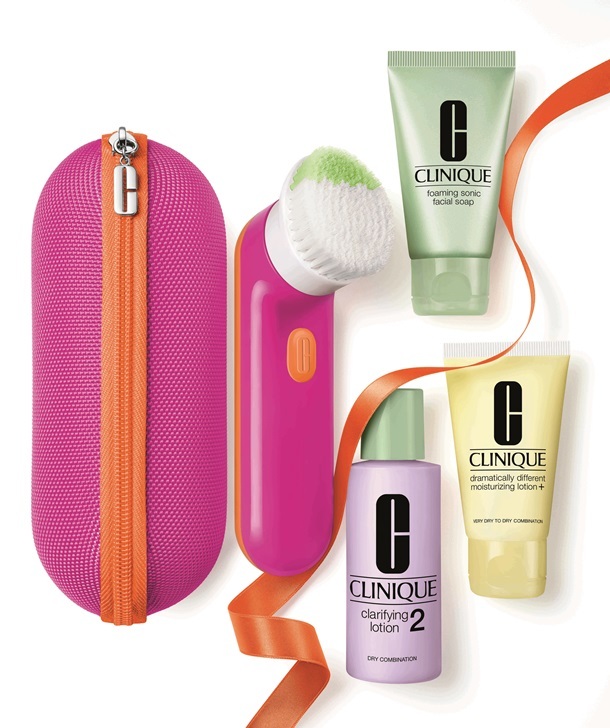 Gift the gift of clean skin with Clinique Sonic System Purifying Cleansing Brush that includes Clinique’s 3-Step Skin Care System. The Clinique Holiday 2015 Gift Sets will be available at your favorite counters at online at clinique.com. Ulta 12 Days of Beauty Advent Calendar for the Holidays! I like the smaller sets for Christmas Countdown. 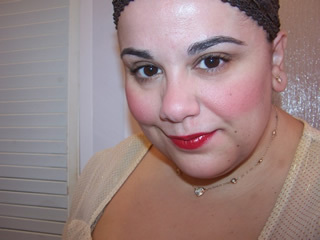 Really eyeing the lipsticks! Muse, Do you have a launch date for website or counters on this one? I am really interested in that 7 days of lipstick! do you know when Clinique will have these sets available? Heather, October! 🙂 Should be first week! That lipstick set is cute, but I have recently fallen so hard for their “Pop” lipstick line that I don’t think I could settle for any of their other lipsticks anymore! I’m very tempted by Take on Tuesday though. I always love a good coral. The Days of the Week lipstick set is very cute. I think I may get one if they become available at my local Sephora or department stores. I think the smaller Christmas sets are great because they’re not too expensive to give as gifts. Clinique’s lipstick range is really good. ps: Love your blog, thanks Muse….Happy Holidays!